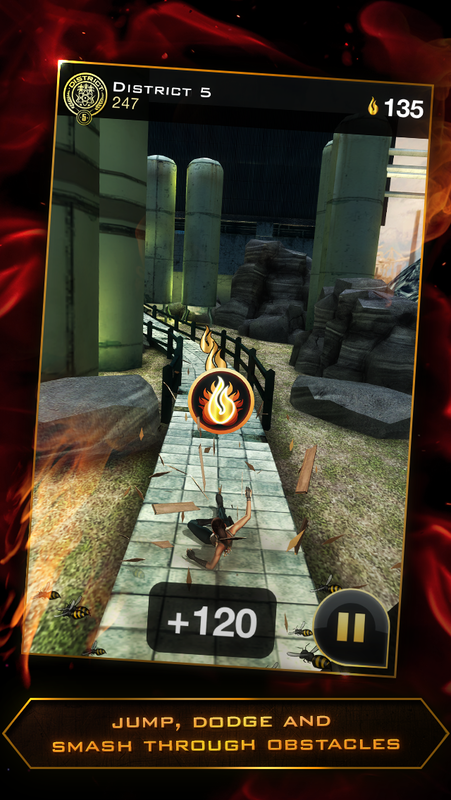 Lionsgate, in partnership with Relative Games have officially released 'Panem Run' the official mobile game for Catching Fire. It is now available for FREE on iOS and Android smartphones and tablets. 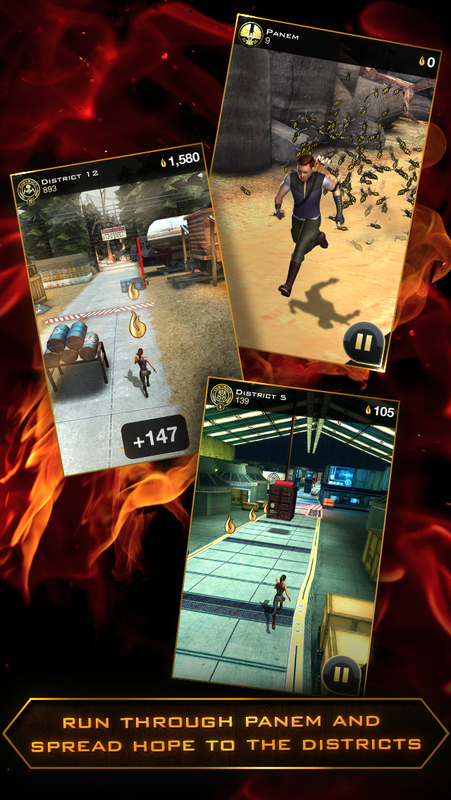 Inspired by the movie, 'Panem Run' gives fans the task of playing as a Panem citizen running through the Districts, collecting Sparks left behind by Katniss and pursuing resources. The more you collect, the more points you earn. You must also avoid obstacles along the way by dodging, jumping and smashing through them, all by using the touch interface. Be careful, the tracker jackers are on your tail! During your run, archery bonus rounds pop up periodically, giving the player an opportunity to earn extra sparks by hitting the targets with your arrows. Special arrows can be crafted before a run using materials collected from the Districts, to earn even more. Scores can be submitted online, and you can compete with your friends to see who gets highest. I've been playing it a lot since I first downloaded the game; it's addictively awesome! The graphics are rich and captivating, and the level of detail within each of the Districts is fantastic. 'Panem Run' seems to be adapting the same infinite runner format as 'Temple Run', which is does so very successfully, including additional features from the world of Catching Fire. You can also like the game on Facebook for more updates here.